We often add watermark message on images to protect them from illegal copying. Besides images, we can use similar watermarking technique to protect PDF document files. 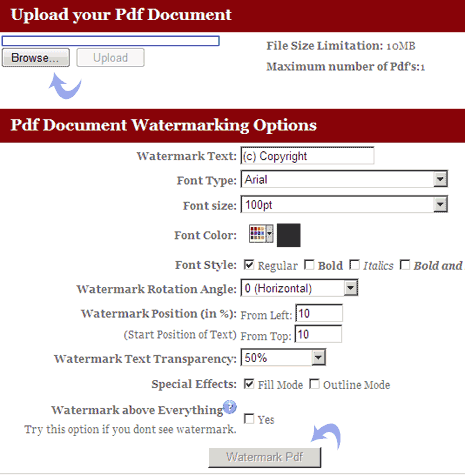 PDF Watermark is an online tool to add quick watermark to any PDF file. To get started, click browse button to upload PDF file from your computer (maximum 10MB).